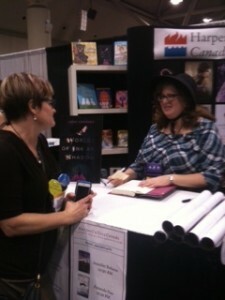 Last week was Ontario Library Association’s Super Conference. 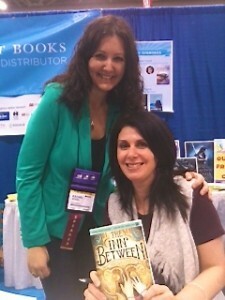 I had the wonderful opportunity to be a part of it, signing Advanced Reader Copies of The Inn Between. A giant conference hall packed with people who adore books–it doesn’t get more exciting that that! (Though, the Nutella crepe was definitely an added bonus.) 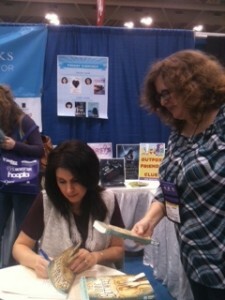 I chatted with colleagues and friends, met many wonderful librarians, and even got a few autographed books! 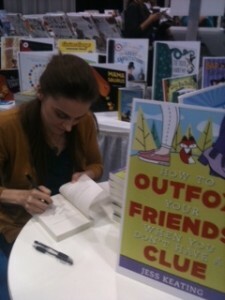 Memorable moments include: lunch with the lovely Rachel Seigel, who listened to my mumblings about The Inn Between long before it was words on a page; meeting talented and friendly Jess Keeting, and scoring a copy of her latest work, How to Outfox Your Friends When You Don’t Have a Clue (Sourcebooks, 2015); and catching a glimpse of incredible author and good friend, Karen Bass, and her creepy new novel, The Hill (Pajama Press, 2016). 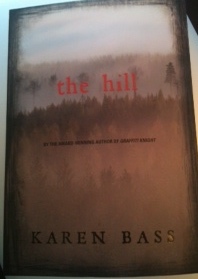 Can’t wait to delve in! A photo of Martha Martin, librarian extraordinaire and author of the soon-to-be-published novel, River Traffic (Orca, 2016) getting her signed copy of one of my absolute idols, Lena Coakley’s, new novel. 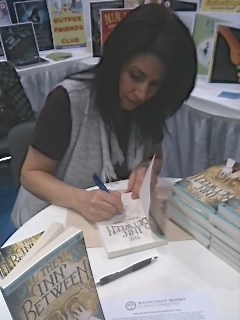 I fell in love with Lena’s writing while reading her first novel, Witchlanders (Atheneum, 2011), and her second novel, World of Ink and Shadow (Amulet, US, Harper Collins Canada 2016), is currently holding my heart captive. It’s a hauntingly brilliant story about the Brontë siblings and frankly, I’m reading slower than usual (which is already quite slow) because I know when it ends it will leave me desperate for more. Such a spectacular day! I hope I will get to be a part of Super Conference again next year with the release of THE DOLL’S EYE!